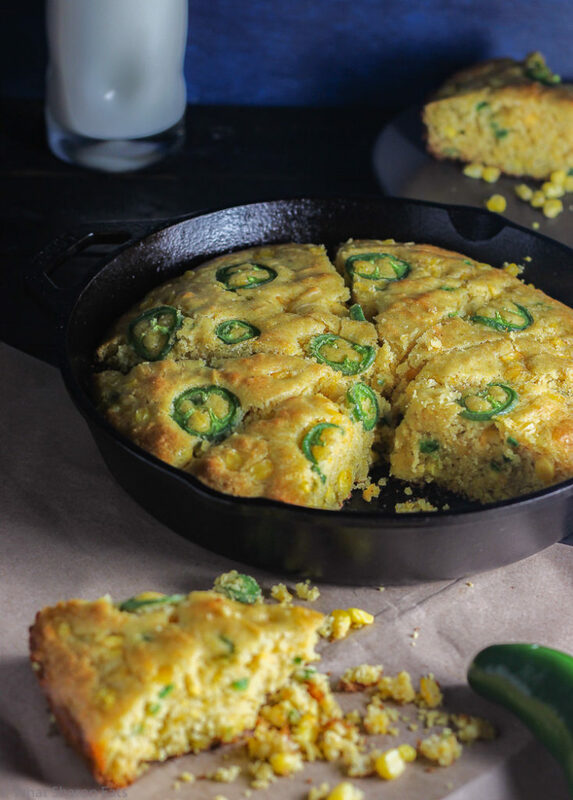 Golden brown on the outside, and spicy, buttery, and moist on the inside, this jalapeño skillet cornbread is one everyone needs on their weekly rotation. Thanksgiving is almost here, you all! It’s the time to throw summer dieting out the window, to sleep in and bury yourself under the covers, to make every excuse to eat pie, to roast everything, and to bake and bake some more. And all while the whole house smells like cinnamon, nutmeg and apple cider. Can you tell how much I love this time of year? So we had some pre-Thanksgiving celebrations this year, so I kicked off the baking early with this beautiful and savory jalapeño cornbread. Now my earliest memories of cornbread were not associated with the holidays at all but involved going to the Hard Times Cafe with my mom. We were hardly there for the chili mac—no, we were there for their deliciously buttery homemade cornbread. That homemade cornbread always came in an XL slice, so we could proceed to polish it off on our ride home. And so this childhood memory is the main inspiration for today’s jalapeño cheddar cornbread. Cornbread is super easy to make because, despite its name, it does not require any kneading or yeast. Cornbread is also, in my opinion, more cake-like than bread-like. You mix up all the ingredients as you would a cake and bake it. Nothing to it. What can you serve it with? Anything! This cornbread is perfect on its own as a snack or can be paired up with any chili or soup/stew dish. Or add it to your Thanksgiving menu or bring it to a potluck since it can easily be made ahead. Get your stretchy pants ready, this is one cornbread recipe that will have you asking for seconds and thirds. Let’s be clear here: this is not a complete replica of Hard Times Cafe cornbread, but one I think can rival its melt-in-your mouth flavor. This version would even make Paula Dean proud. A generous amount of butter makes this the most moist (try saying that twice) cornbread you have ever tasted. It crumbles a little in your hands, but it’s not real cornbread if it doesn’t. The jalapeños give it a nice a spicy kick while honey and sugar add some sweetness. Whole corn kernels are also included to add some texture. Cooking the cornbread in a cast-iron skillet gives it a crisp, golden brown exterior and a nice contrast to its soft buttery center. Preheat oven to 400°F and grease a 10-inch cast iron skillet. In a large bowl, mix together the dry ingredients: cornmeal, flour, baking powder, salt, cayenne pepper and smoked paprika. In a medium sized bowl, whisk together wet ingredients: the corn, sugar, jalapeños, cheddar, eggs, buttermilk, melted butter and honey. I buy frozen corn and then microwave it according to the package’s instructions. Make sure the corn and butter have cooled slightly before mixing them in with the rest of the ingredients. 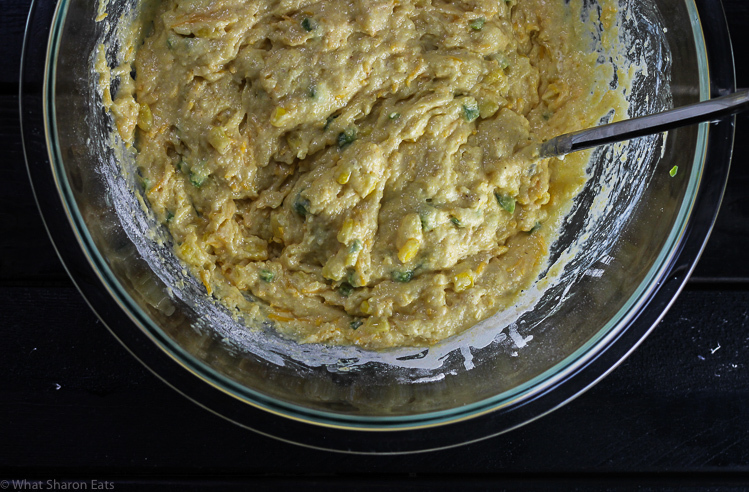 Gradually whisk in the wet ingredients into the dry ingredients until incorporated. It’s okay if the batter is still lumpy. It is better that you do not over mix the batter or the cornbread will come out dense. Pour the batter into the cast iron pan and bake for 23-27 minutes until the cornbread has browned on top and a toothpick inserted comes out clean. Let it cool for 10 minutes before slicing into and serving. 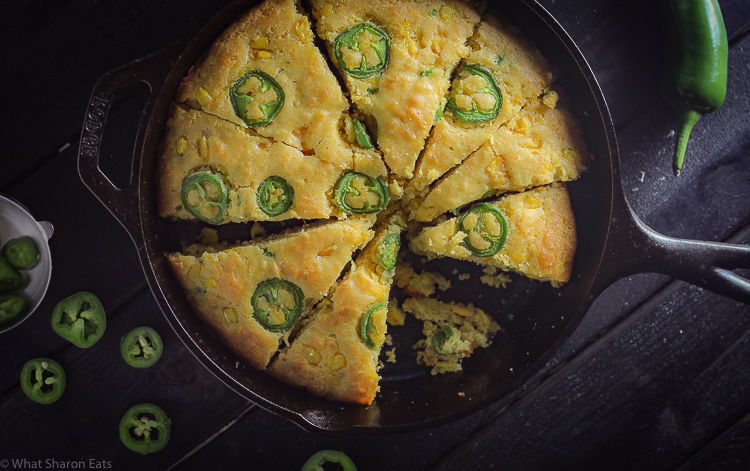 This jalapeno cornbread will be perfect with a nice hot bowl of soup. 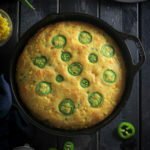 I love cornbread and I can only imagine how good it is with cheese and jalapeños! YUM! 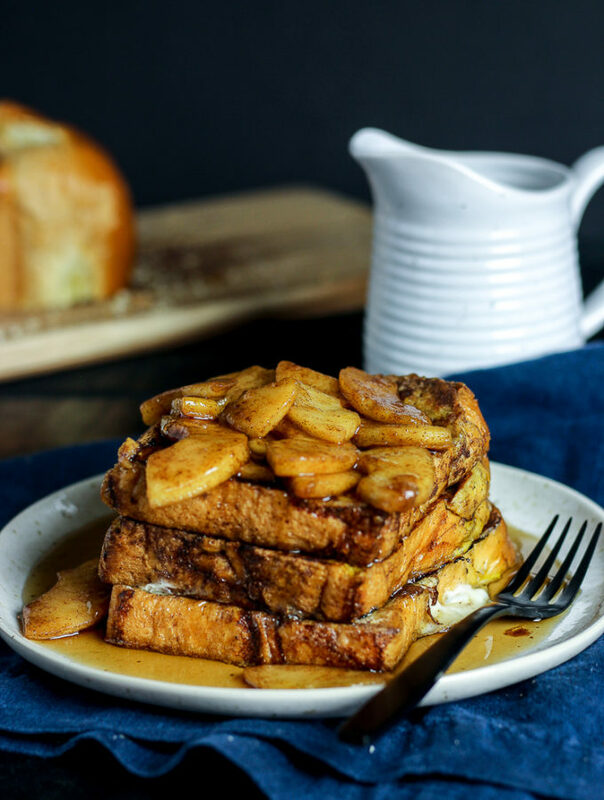 This bread looks so yummy and that texture is just wow, would love to enjoy with some hot soup. This is so dangerously addictive! 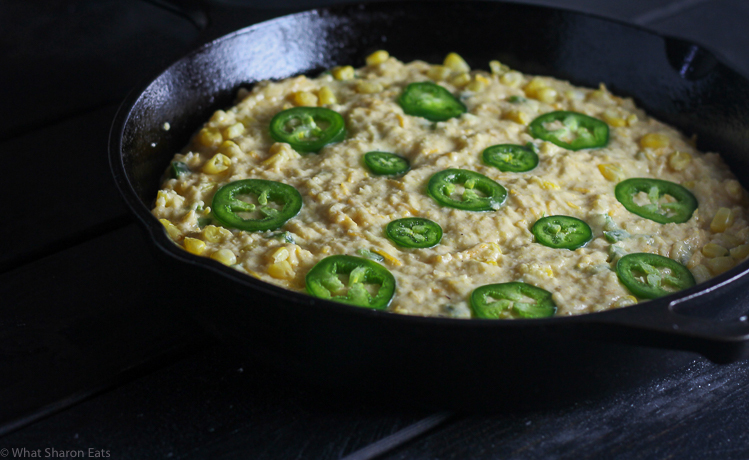 First of all, I love corn bread (or anything with corn) and adding jalapenos make this skillet bread extra awesome. Yes…love using my cast iron skillets. The ONLY way to cook cornbread. This looks delicious. The added heat from the peppers is a MUST in our house. 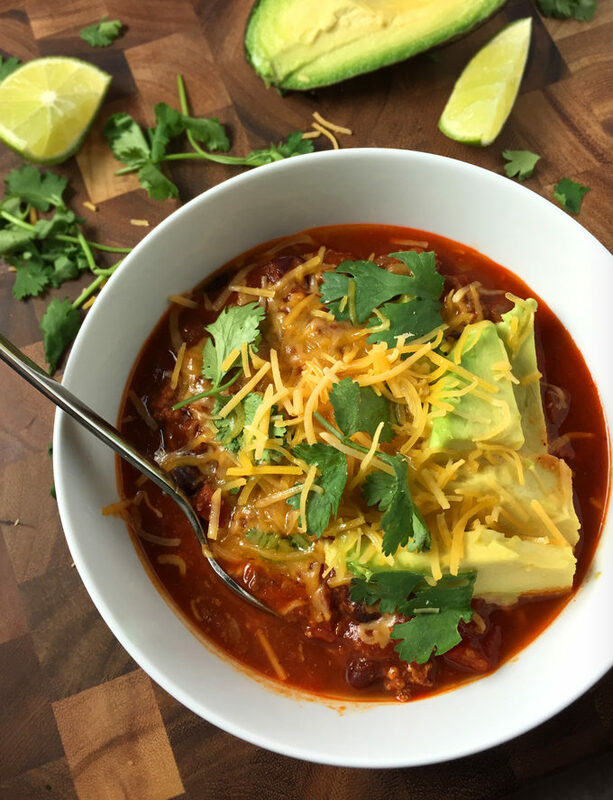 The perfect side to soups, chilis and stews. This looks delicious. I have a huge bag of cornmeal, and don’t have that many uses for it. 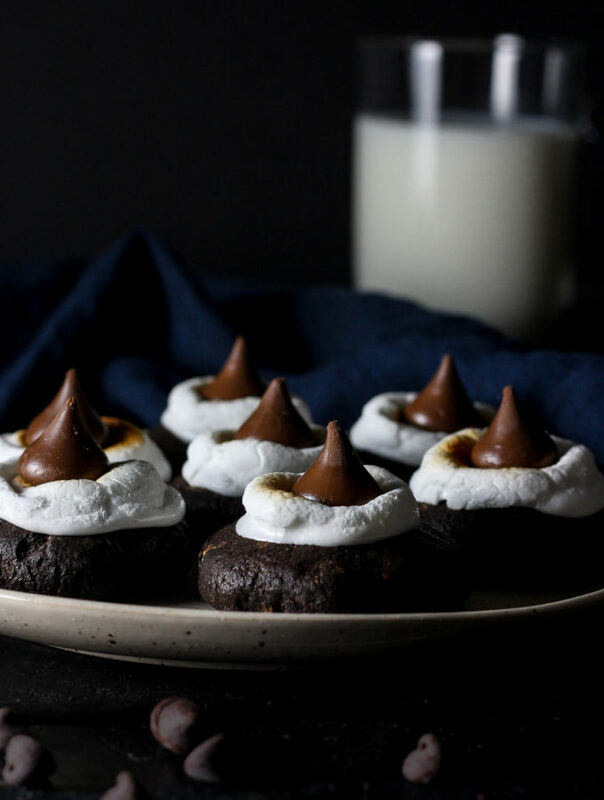 I’d love to try this recipe out! Yum this looks so moist and delicious. 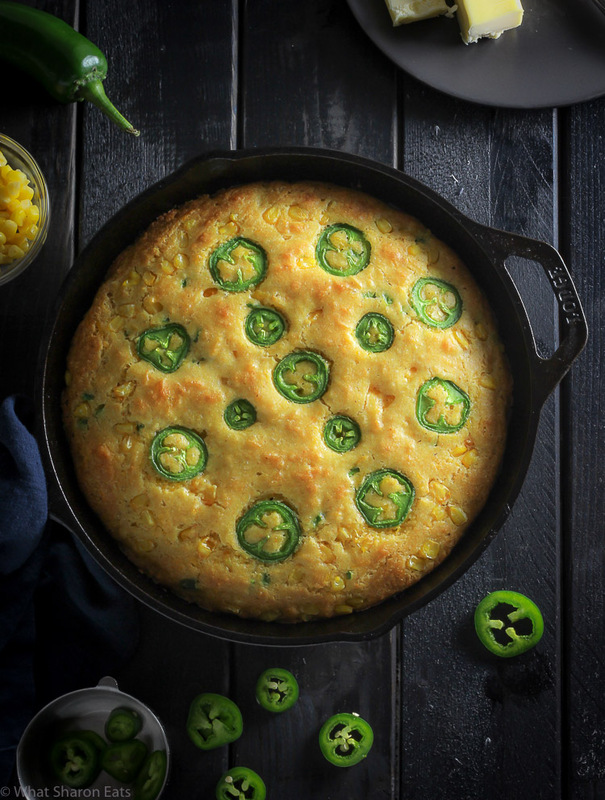 I love corn bread and I love spicy so this sounds like a win-win for me! Lovely photos too. YUM! Can’t wait to try. I’ve never made cornbread even though I really like it. Yours looks and sounds yummy. Love the addition of jalapenos for some extra kick! I think that the combinaton of golden brown on the outside and moist on the inside makes this super special. That flavor must be incredible! Cornbread is one of my favorites. It always takes me back to my childhood and reminds me of my mom. Can’t wait to try this recipe! Love spicy cornbread and this just looks perfect, I always try to add in some fresh corn also which gives it a sweet kick! 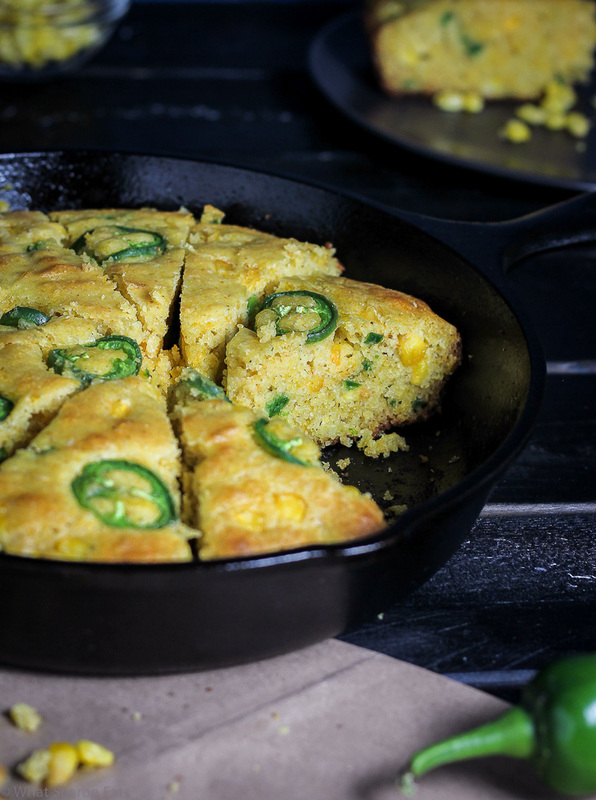 Oh I love jalapeno cornbread so much! I always forget about making it in my cast iron skillet though, even though my mom does that all the time!! 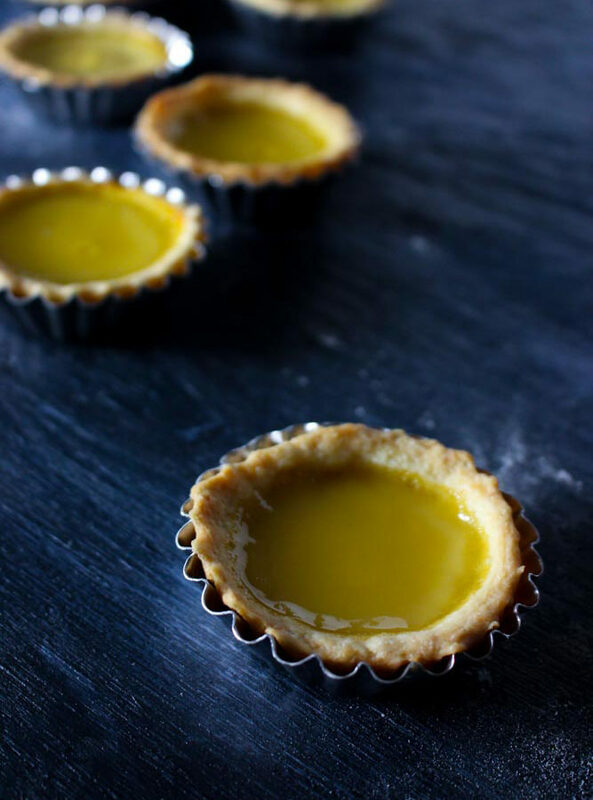 I love your photography so lovely and inspiring not to mention delicious. I enjoy cornbread and better if it is spicy. I need to add this to my Thanksgiving menu! 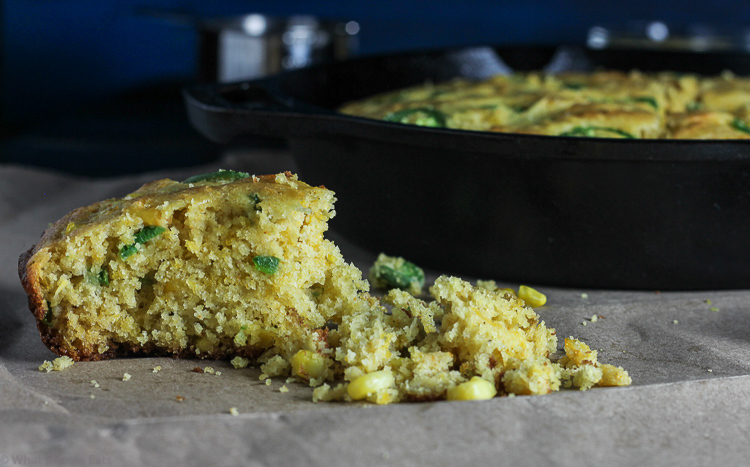 I’m a cornbread lover, tried and true -and this recipe hits it out of the park. I love that you added jalapenos! I want to to dunk it in tomato soup! What a great variety of cornbread and I love that you used smoked paprika. It is one of my favorite spices! I just made this for my family – they loved it! Nice texture and flavors. I’m waiting to see your cookbook next to Chrissy Tiegen’s. Aww, thanks John!! 🙂 Glad you guys enjoyed it!